The domestic hardware industry brand competition is relatively volatile. Shida and Stanley still occupy the leading position of high-end brands in China. The other brands' rankings are unknown, which means that other brands still have unlimited opportunities. To seize this brand's chaotic gap period, the speed of pushing into the top three brands has become the most worthwhile issue in the development of the next five years. Due to the low cost and fierce competition, most companies rely on lowering the price of their products to obtain the market. As a result, corporate profits are very low, and they can only reach the state of maintaining production but it is difficult to make money. The result is the product. With low prices, low added value, and low profits, companies do not have sufficient funds to sustain development. The outward trend of outward development of home hardware enterprises in China is more obvious. At that time, although there were many internal enterprises in the industry and enterprises could not progress, it was difficult for the industry to improve, resulting in unsatisfactory results. The hardware industry is gradually moving into the consumer's field of vision from the invisible brand. Low-price competition, imitation, and OEM production are limited to a certain historical stage. With the development of the industry and the upgrading of competition, the product technology content is increased, the company has independent patents and designs, and the emphasis on brand building and marketing is the long-term development of the company. The best choice. First of all, companies are almost always using the brand to operate, and will find out the differences between their respective grades and their main competitors as the starting point of their corporate strategy. However, many companies have tried to make such a mistake: the only difference is the product differentiation, rather than the brand differentiation. In addition to the price differences between brands, it is difficult to distinguish between brands. The market will position the brand according to the price of the product, forming: low price is the resistance, high price is high-end brand impression, which hinders the implementation of brand marketing to a large extent. This is the core issue that has caused China's domestic hardware to be difficult to achieve high-end brands. The brand includes the core value of the brand and the external performance. The difference between brands is to show the difference between brands through positioning. The positioning of the brand is based on the needs of the target market and its own advantages. For example, Stanley: World Tool Expert. Stan uses this slogan to highlight his position as a world tool expert. The brand's core value highlights the enterprise's 100-year strength and the company's expert identity has reached the division with its opponents. In other words, it is necessary to identify the target market, compare it with competitors, find their own advantages, and combine market advantages to express one aspect of the customer's demand characteristics, and combine with the advantages of the company to form the brand core value. Secondly, for the kind of channel model adopted, each company should choose according to its own characteristics of the company. Judging from the current market demand and channel characteristics, the adoption of the direct sales model by mid-to-high-end brands is unrealistic, and product lines and sales will directly determine the network model. 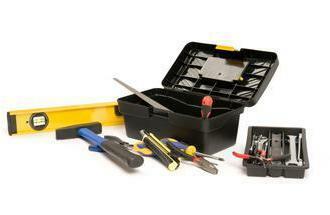 The current hardware tool market in China has a large demand for mid-range products. Basically, products can cover the second, third and fourth-tier markets. The adoption of the monopoly chain model will have the basis for market demand. For Chinese domestic hardware brands, if the product line is long enough, it can try to renovate the old dealership stores, shorten channels, expand distribution, and deepen marketing. Companies adopting the hierarchical agency model must strengthen the management of distributors, which is embodied in the management of terminal sales prices, the management of serial goods, the management of channel-based brand communication, and the management of market feedback information. The health of channels and prices will directly affect the life and death of enterprises and long-term development. Therefore, the choice of channels needs to be prudent, and the management of channels needs to be refined. Third, the branding and dissemination of the brand must address the positioning problem for the hardware tool industry in China. What has to be solved afterwards is the relationship between the corporate brand and the product. Whether this issue can be properly resolved relates to the successful implementation of the brand strategy. Finally, in the field of hardware tools in China, companies are deepening their understanding of the role of the media, but there is nothing about the concept of public relations. In the case of such a messy brand, ignoring the power of media and public relations will make it difficult to establish a unified brand image. Luo Baihui, a well-known brand integrated marketing expert, believes that the public relations and media operations must be used to speed up the brand's dissemination and to quickly expand the company's brand awareness. In addition to regular reports, companies need to create news events and let the media take the initiative to report. Sensible, for example: In order to ensure the quality of products, Haier destroyed many unqualified products. The media reported that it quickly expanded Haier's brand awareness and reputation. Such an event has existed in our industry, but it has not. Knowing how to spread and how to use it properly will save a lot of costs for the shaping of the brand, and it can quickly pull away from the opponent. The current pattern of brand competition in the hardware tool industry in China is very unstable. In addition to the positions of Shida and Stanley occupying leading positions in mid-to-high-end brands, brand rankings in other grades are still unclear, which brings unlimited opportunities to latecomers. At present, the development of China's hardware industry is very unregulated. If any company is willing to stand up and do something for the industry's specifications, it will become a leader in the development of the industry. Thermoplastic Elastomer Stem Caster series , as a professional Chinese caster manufacturer ,with rich R&D experience , which enable us to customize according to client's request , Size of thread stem ,top plate wheel material , type of brake , just let me know what you want , Rich Industrial Caster series , various from rigid wheel caster , Swivel Caster and Brake Caster , full size series make us become one-stop caster services center for you . How to install automatic water softener?